Escape to a Georgian manor overlooking acres of lush parklands in this picturesque corner of Ontario. 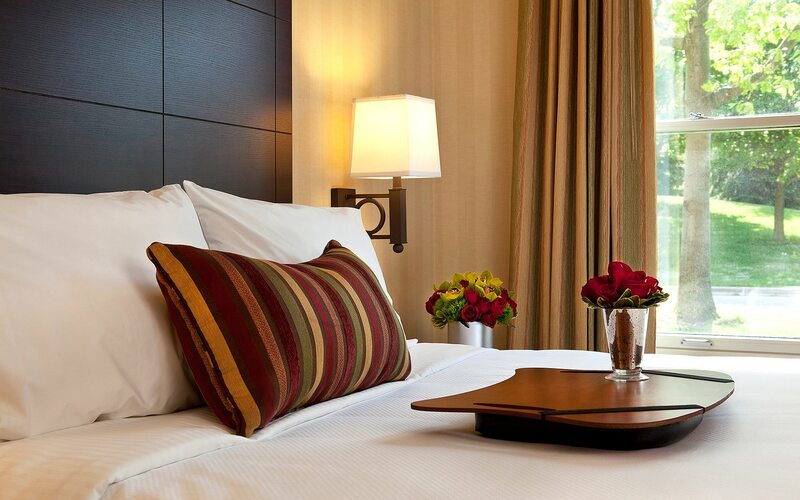 Our 125 rooms and suites are elegantly appointed for your comfort. 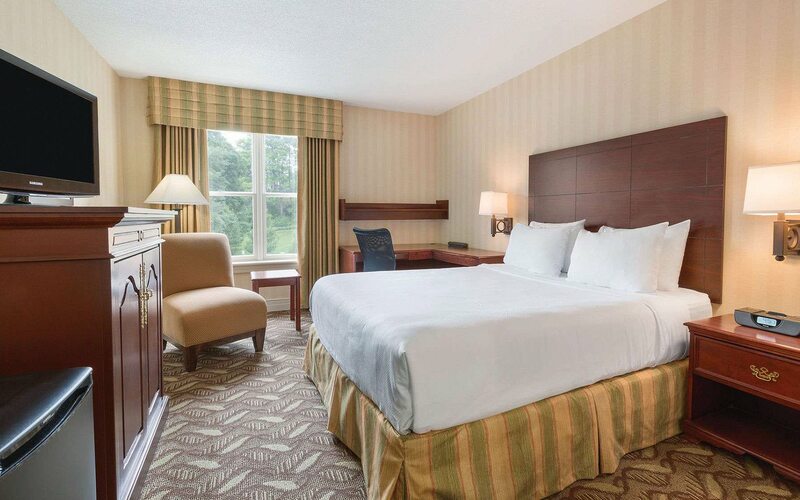 After a productive meeting, relax in our guest room with room service or a movie on the flat-screen tv. Complimentary Wi-Fi, refrigerator, and bath products come standard in this room. 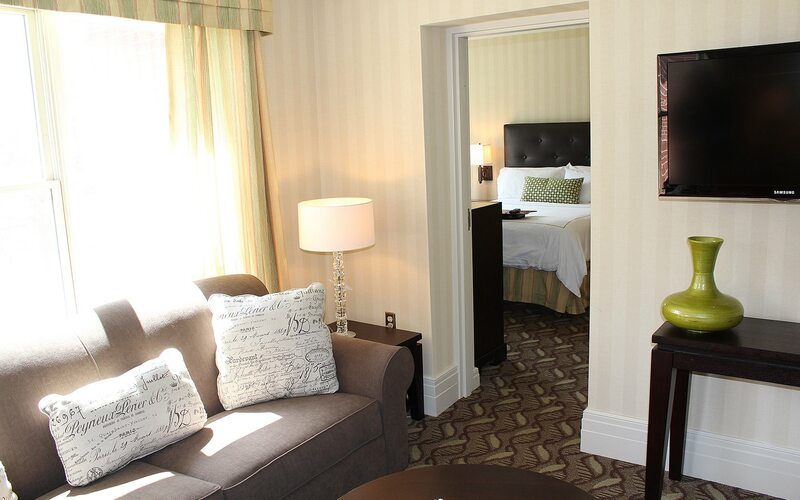 Enjoy views of the Ontario parkland from one of our quaint heritage rooms located in the historic north wing mansion. This room comes with complimentary Wi-Fi, flat-screen, tv, shower and refrigerator. Enjoy premium luxury in our suite. The attached living room with a pull out couch that is perfect for relaxing with guests after a long day.